​ The CCS Transition Program helps adolescents & young adults launch into life. While many programs divide their efforts between career and educational activities we feel that the key to success for today’s young adults is simple and holistic. Our motto is, "We learn wherever we are, and we bring our learning wherever we go!" Be it in school, an internship, or a job setting. "We learn wherever we are, and we bring our learning wherever we go!" ​So, How do we do it? ​The Metacognitive Mindset: We help our young adults establish a “Metacognitive Mindset” in which they step away from themselves and look at their learning/thinking process from a third person perspective. The goal is to allow them to appreciate their strengths and address their challenges in a more adaptive manner. Learning more about their own approach to learning allows them to avoid pitfalls and take advantage of supports that meet their learning needs. Providing them with a Metacognitive Mindset is in essence teaching them to fish rather than providing them with a fish when they are hungry. All of our interventions are meant to fade over time. This skillset is a major focus of our group-therapy program where participants have an opportunity to learn first-hand how other young adults negotiate these issues given their own learning skills and learning history. Mental Health Management: Many of our young adults struggle with mental health issues that are frequently more complex than staff at typical college counseling centers are able to handle. Many of our group participants have had a serious mental health issue, required an inpatient hospitalization, and need our support in returning to college. We coordinate closely with college counseling staff, follow our patients in various inpatient/partial hospital settings, facilitate post-discharge treatment recommendations, and set up seamless communication between the family, college, and outpatient mental health team. Self-Initiation: We educate our young adults to the reality that they are not in high school anymore and that they are required to initiate contact with their professors and supervisors if they require guidance and support. They will learn how to directly ask for help and identify what additional supports are available to them in an academic or work environment. These supports at times will determine whether or not they will maintain a job or pass a given course. Task Management (The “To-Do List”): Our young adults are directly taught how to organize themselves to find success by identifying and keeping track of tasks/activities that they need to complete. We teach them how to efficiently use technology to accomplish this task and how to use their “Smart Phone” as a mobile organization platform, rather than as simply a social media conduit or selfie machine. Time Management: Task awareness facilitates a discussion about when and in what sequence should these tasks be completed. Learning how to prioritize tasks and assign a time allotment for them is critical for meeting deadlines that are either self-derived or provided by a professor/employer. Coursework: Many young adults will choose to take a course needed to complete a degree or to learn skills related to their work-life. We help them find success by teaching them how to identify the objectives of the course, by closely reviewing the syllabus and online materials related to the syllabus/course. We teach them how to break the bigger goals down into a series of tasks that are doable and less intimidating. This process includes setting up a sequence of study activities that will help them accomplish their larger goals. Written Output: Many young adults struggle to produce materials that demonstrate their knowledge/learning about a topic in a traditional written format. We help students learn how to assess a writing prompt/rubric, break it down into component parts, check-in with professors/supervisors about whether their outline/thesis adequately addresses the given task, write a rough draft, review/edit their draft, and remain open to constructive feedback. We also teach them how to estimate the amount of time it requires for them to produce an outline, a page of rough draft, or a page of a final draft, allowing them to learn time management in relation to their writing. Academic/Task Follow-up: We help students learn how to harvest feedback that will allow them to find increased success on their next endeavor be it a test, a written paper or a job expectation. We teach them how to “debrief” with their mentors/professors/bosses after tests/papers/projects by entering into a dialogue about how they can accomplish their goal in a more accurate and efficient manner in the future. Many of our young adults struggle with feelings of shame/embarrassment relating to their history of academic and work struggles/stress that have prevented them from engaging in these critical dialogues in the past. We help them unburden themselves from these prior anchors as they engage in healthier interactions with the people who want to help them seek a successful future. Project-Based Teamwork/Group Work: We help our young adults learn how to work in dyads and small group settings. We also help them understand how a collaborative approach will help them successfully negotiate the ability to find success in a college course or a job environment. We find that if they understand exactly how higher level jobs require team coordination and feedback they will appreciate the need to learn how to engage peers in group work, how to maximize peer productivity, and how to understand the role they play in a team-based model, whether it is in a college course or an entry level job. 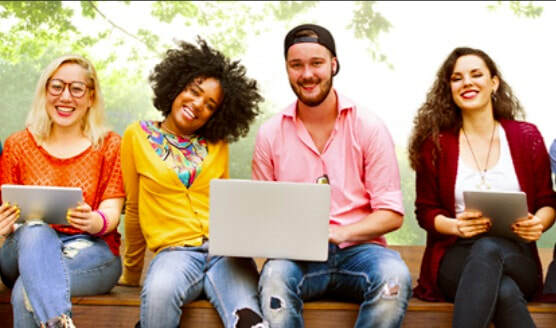 Collaboration/Affiliation: Many of our young adults who transition out of high school struggle with the ability to set-up new social relationships with peers and faculty/staff members that are meaningful, self-initiated, reciprocal, and evolving. We help them begin this process, find connections that are satisfying to them, and fade into the background as they find success. Adult Support Services: Many of our young adults need support in understanding how to address their learning/social/emotional challenges given the novel terrain that they discover in a new job or in a newer college placement. We help them apply for services that will help them through their difficulties, such as, disability support services in a college setting, direct contact with a college professor to ask for specific accommodations (This must be done on a class-by-class basis), or by implementing a 504 plan (supported by the Americans with Disabilities Act) in a job setting. Substance Use Evaluation/Ongoing Support: We help develop a plan for success with young adults who have struggled with a history of substance use. Our approach is group based, in that we provide them with access to peers in their group who have made progress in this area. We also use a motivational interviewing approach which attempts to identify their strengths and internal motivations needed for them to make healthy future choices. Peer feedback and support around how difficult it is to manage substance use in college or a young adult social environment is also helpful. When needed, we collaborate with other professionals in our network who help us address these issues more directly if it is clinically appropriate. Systems Coordination: We have a longstanding reputation in the greater Boston area of collaborating with and coordinating many other treaters, agencies, school staff, and support professionals that are needed to help facilitate adult transition. It is the heart of our clinical approach to treatment and we have earned our reputation through hard work and a history of successful integration. We help coordinate transitions with the Department of Mental Health, The Massachusetts Rehabilitation Commission, The Department of Developmental Services and many others. Our track record at working with school systems in a productive manner is based on our work with many students from elementary school to high school graduation. Family-Centric: While many professionals define a Transition Plan as purposely shifting a young adult away from his or her family of origin, we differ in our approach in that we help redefine the way in which our clients relate to their families. We respect every family as a system that is capable of making such a transition and are helpful in defining the strengths and challenges that every family brings into the process. We are Everywhere! Members of our team will actually meet with our young adults on college campuses to orient them to the resources/staff who can assist them, help them submit college/job applications, guide them to develop a solid resume, provide customized executive function support as needed, in addition to providing the emotional/social support needed to address their anxieties and fears as they transition to this new phase of their life. We follow them wherever they are learning. We work closely with many college counseling centers in the Boston Area. College staff members feel assured that our background in working with students/families who struggle with complex mental health issues/learning challenges and require intensive treatment or inpatient hospital stays are closely managed by our clinical staff. Many students receive four clinical contact points with our specially trained staff each week, including a customized transition group, individual/family therapy, and two contacts with our clinical tutors. ​Please note that CCS has a variety of ways in which we partner with school systems to develop IEP-Based Transition Plans. We provide a comprehensive approach to addressing the entire Transition Plan for a particular student/family. If requested by the school system, we can provide multiple components of a given student's IEP and partner with other providers who have primary roles in other key areas of need. For example, we might help with mental health support/transition and social support with the student and family while we partner with a program that takes a lead role on vocational training/support related to a specific job placement. Schools have found our interventions to be cost-effective, especially when considering the wide impact that we have on the transition process.